 Edit some Makernote tags.  View descriptions of fields that contain data. JPEG, TIFF, PNG, DNG, NEF, PEF, CR2, CRW, JP2, ORF, SRW, ARW, SR2, and PSD – reading, editing, and creating metadata. 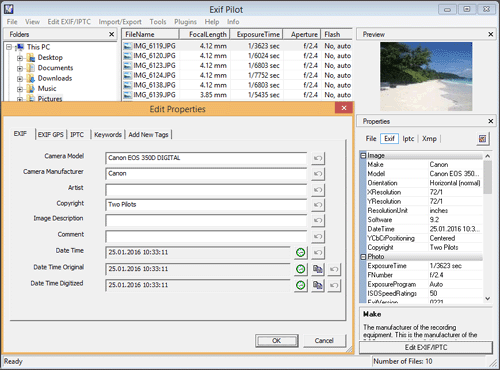 RAW formats, including MRW, RW2, PGF, EPS, and RAF – read-only mode. + Added ability to clear/remove whole group of GPS tags.